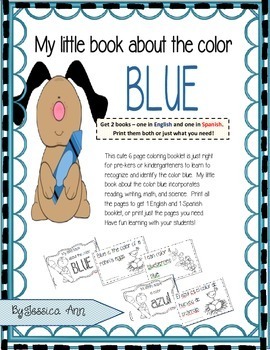 My little book about the color blue is a 6 page reader and coloring booklet that will help your pre-kers and or kindergartners learn to recognize and identify the color blue. It incorporates reading, literacy, math, and science. You get 2 booklets, one in English and one in Spanish, for the the same low price. 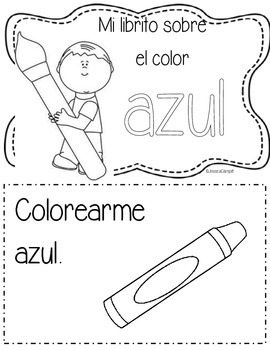 Print all the pages to get booklets in both languages or print just the pages you need. 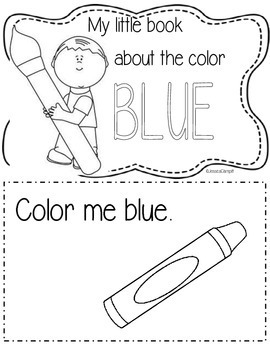 For use with a small teacher led group or a whole class activity. 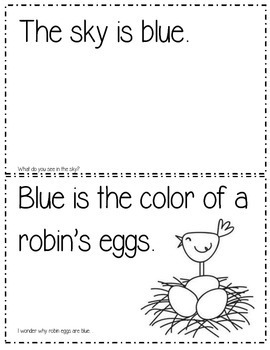 Each page includes a question to ask students to guide their thinking and conversation as they color their pages with you. Have fun learning with your students!